Manchester United have been transformed since Jose Mourinho's sacking but Ole Gunnar Solskjaer believes his predecessor has plenty to offer. Jose Mourinho's desire to return to elite football is not misplaced in the view of his Manchester United successor Ole Gunnar Solskjaer. 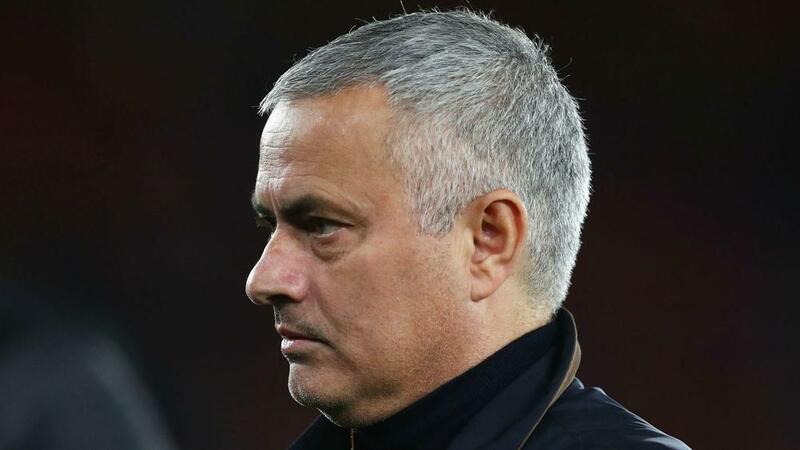 Mourinho made his first major media appearance since being sacked by United last month when he featured as part of beIN SPORTS' coverage of the Asian Cup on Thursday. United are a team transformed under caretaker manager Solskjaer, last weekend's 1-0 triumph at Tottenham making it six wins out of six in all competitions, but the former Norway striker was in no mood to besmirch the achievements of a man who has won major titles in four countries. "Why shouldn't he [be ambitious]?" Solskjaer said at a news conference to preview Saturday's Premier League match against Brighton and Hove Albion. "He's a fantastic manager, with the results he's had, I don't think he'll be struggling to find work." Mourinho also made elusions to player power undermining his regime at United – an issue Solskjaer was understandably unwilling to be drawn on. "I can't really comment on everything he says," he said. "I'm enjoying working with these boys and that's all I can say." Marouane Fellaini has proved a divisive figure with the United fanbase but was a reliable lieutenant in Mourinho's eyes. The Belgium midfielder has not featured in the league since a brief substitute cameo during Solskjaer's first game in charge, a 5-1 win at Cardiff City, and is now facing a month on the sidelines with a calf injury. "He'll be at least three or four weeks, he's got a calf problem," Solskjaer explained. "And that's sad because there are X-factors in different players and we all know Felli's X-factor. He'll be working hard to get back when all the big games are coming." When considering that or other selectorial headaches, Solskjaer will soon be doing so from the comfort of a home in the Manchester area. The 45-year-old has been hotel-based since taking over at United but has no intention of imitating Mourinho's infamous residency at The Lowry. "I'm still in the hotel but I've found a place so it won't be too long," he added. "I've been driving around a bit to find my bearings again. I've got mates and friends here so I've been to see a few if them. It's not like I'm stuck in the hotel on my own."